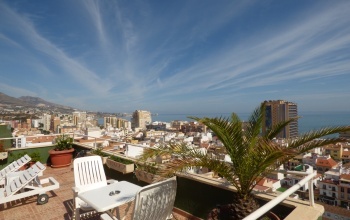 This unique 5 bedroomed apartment has the best views over the see and the town in the area. 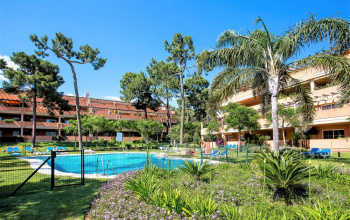 Its located 2 minutes walk to the beach, and next to all shops, restaurants, bars, bus and train stations. Wifi in all the apartment. Large living room and separate kitchen. Enormous sunny terrace. Perfect for large families or groups of travelers. 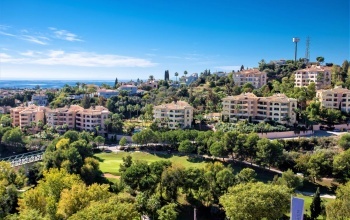 This luxury 3 bedroom apartment has sea and golf views and the very spacious balcony is southwest facing . 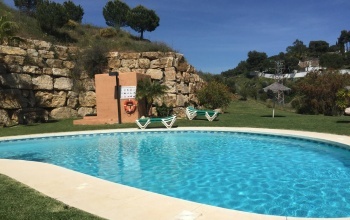 The apartment offer a very spacious home for the holidays and includes free internet with worldwide tv and unlimited movies.You have access to pools and underground parking.Prices starting from 80 pounds per day with minimum of 3 nights stay. 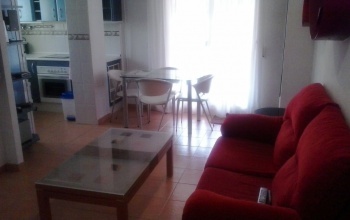 This new apartment is tastefully furnished and is now ready to rent for the summer season. 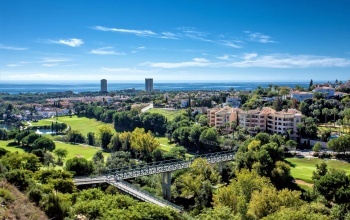 The very spacious apartment has two balconies one with south west views over the golf valley and the see and another overlooking one of the communal gardens. The master bedroom is en suite. There is underground parking and street parking. Fast Internet and International channels included. An absolutely beautiful, 2 Bedroom Duplex Penthouse with a Jacuzzi. 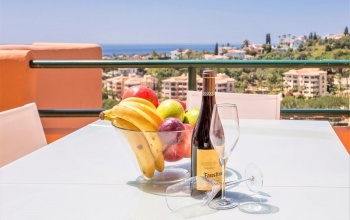 Tastefully furnished to a very high standard with 2 En suite bathrooms and both the Lounge and Kitchen have access to the southwest facing terrace. There are 3 other terraces of which 2 are private to the master Bedroom. 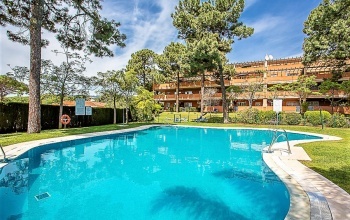 Call now on 647229900 or email info@liveinthedreamspain. 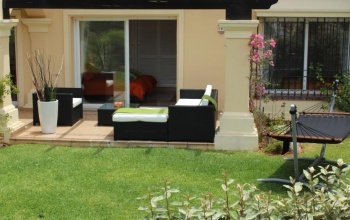 Lovely one bedroom apartment furnished to the highest standard. Fully equipped kitchen, double bedroom, living room with dinning area and sofa bed, bathroom and terrace with beautiful views. Prices starting from 250 per week. 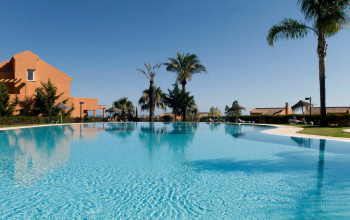 For availability - please call 647 22 99 00, from UK 03333 44 1974 or email to info@liveinthedreamspain. 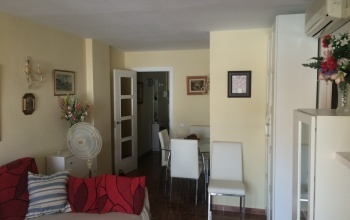 Lovely apartment in great location. It has two bedrooms and two bathrooms and it is well equipped for four or five people. All linen and towels are supplied. The kitchen is fully equipped and the apartment includes a washing machine. The television has access to British channels. Wifi is available. 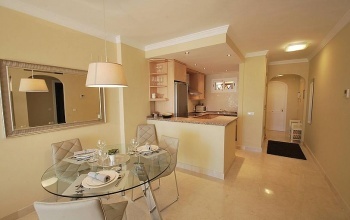 This luxury two bedroom two bathroom apartment is available for short term rentals with prices from 480 euros per week. 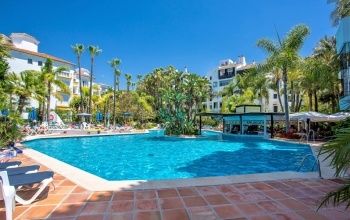 It is located in prestigious urbanization in Elviria Marbella, with underground parking and communal swimming pools and gardens, only 10 minutes drive to Marbella and Puerto Banus. 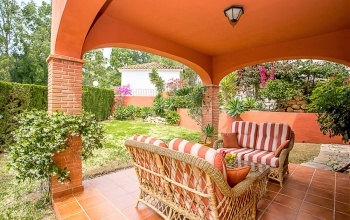 The perfect location for your holiday in Costa del Sol!<iframe src ="https://www.beds24. 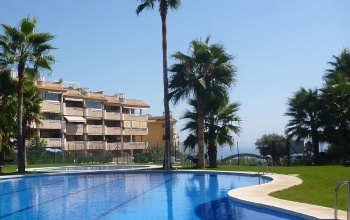 Short term Rent available for this 2 bedroom apartment, first line of the beach in Los Boliches, Fuengirola. 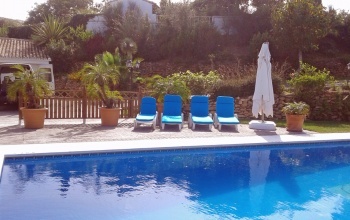 Nicely furnished and decorated, perfect for your holiday. 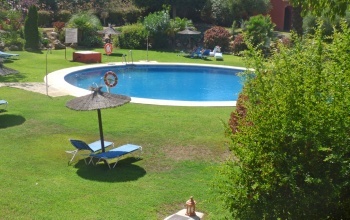 Beautiful 2 bedroom, sleep 4 apartment on the first line of the beach, with private pools and gardens.